One of Europe's oldest art fairs, Brafa, is back in Brussels for a 64th edition, featuring 133 galleries from 16 countries. 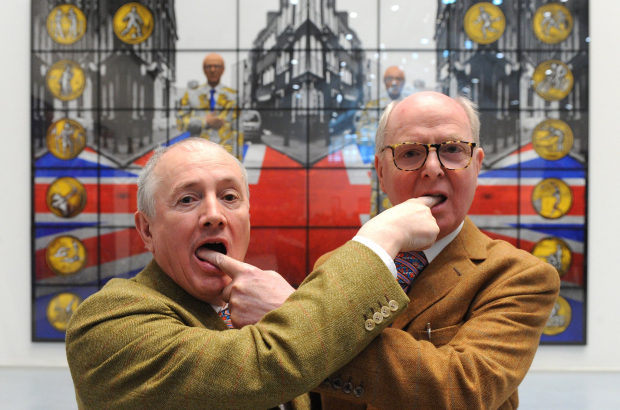 The fair, which attracts about 65,000 visitors from the around the world, has Gilbert and George as this year's guests of honour. "Brafa has established itself as one of the top-five art fairs in Europe by building its reputation on three factors," says fair spokesman Bruno Nélis. "First, the quality of the objects and the exhibitors who are represented, then on its eclectism (5,000 years of art from archeological objects to contemporary art) and finally on its friendly atmosphere which is also something specific to Belgium I would say." He adds: "For the third time we are welcoming a special guest. Two years ago it was Argentinian kinetic artist Julio Leparc, last year it was Christo, and this year, the cherry on the cake, we have the great pleasure and honor to have Gilbert and George. "They started out as performance artists who became famous for their large-scale photo pieces. They will be presenting five of their three-metre by four-metre pieces, all from recent series. Their art draws inspiration from their daily life but the vision they offer is in turn metaphysical, mystical or polemical while humour is a most important element." The Belgian Royal Chamber of Antiques and Art dealers is celebrating its centenary with a new name (Rocad.be) and a special show at Brafa which will consist of 40 iconic masterpieces that were sold by the association members to collectors and museums over the years. Additionally Rocad.be is publishing an opulent book on 100 art pieces and their often curious histories as told by their owners. 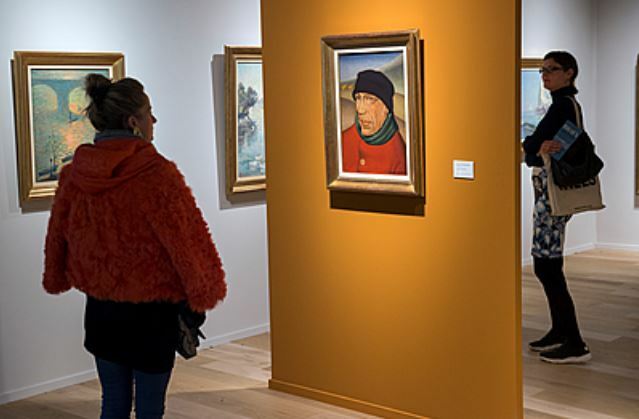 Also every day at 16.00, Brafa will be presenting talks on a wide variety of subjects including Pieter Bruegel the Elder on the occasion of his anniversary year, a tribute to Peggy Guggenheim, and a lecture on the origins of Soviet Art Deco. The talks are either in Dutch, English or French. This year 133 galleries are participating following a strict selection process (40% Belgian and 60% foreign). 16 countries are represented (Belgium, France, Germany, Great Britain, Greece, Hungary, Italy, Japan, Luxemburg, Monaco, Morocco, Russia, Spain, Switzerland, the Netherlands and the USA). 100 experts from around the world are involved to verify the authenticity, quality and condition of the different objects on display. 20 specialties are covered, including classical archaeology, tribal art, pre-Colombian art, Asian art, jewellery, silverware, coins, furniture and art objects dating from the Middle Ages to today, old and modern paintings, contemporary art and design, sculpture, ceramics, contemporary glass and porcelain, carpets and textiles, drawings, original cartoons, engravings, rare books, photography and autographs. Up to 15,000 objects are on show. 65.000 visitors attend from around the world.